OPEN FOR BUSINESSES @ THE NIIC. Our goal at The NIIC is to ensure Northeast Indiana continues to be an innovative area where business booms. We wouldn’t be doing our part if our offerings were limited to our residential clients. Located on Stellhorn Road in Fort Wayne, The NIIC Conference Center is a resource for the community. 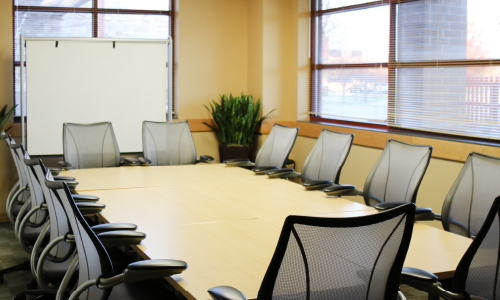 Its seven conference rooms are accommodating, easy to reserve and open to the public. 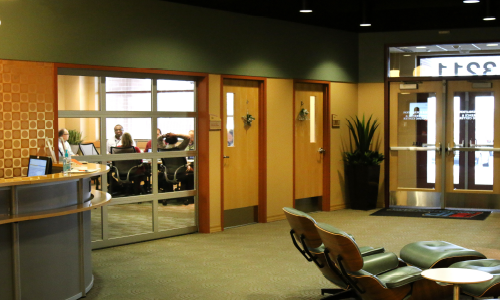 The Center offers the amenities needed for successful meetings, events and workshops. 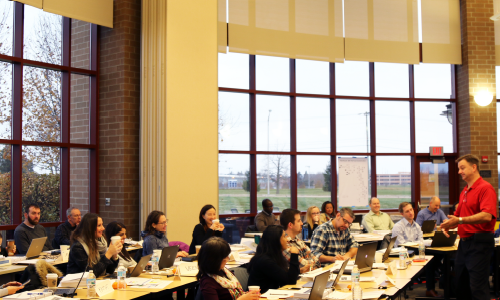 If you’re looking for a place to host a one-on-one meeting, an off-site planning session, workshops, a weeklong conference or training seminar, there’s a room for you at The NIIC. Are you a NIIC client? 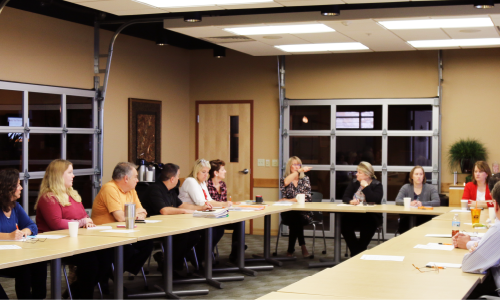 Click here to reserve a conference room. Not a client yet? Contact our Conference Center Manager or call 260.407.6477. When businesses reserve a conference room at The NIIC, they gain access to more than a place to work. Each room has its own unique appeals and specialties and comes standard with useful amenities. Between The NIIC Pinnacle Service and our state-of-the-art facilities, it’s easy to see why The NIIC is a superior event venue. MULTIPLE ROOM SIZES seating for up to 80 people. COMPLIMENTARY WIFI and large screen monitors for multiple interfaces. INTEGRATED GARAGE DOORS create open flow and flexible seating options. CONCIERGE STAFF with event-planning resources and expertise. 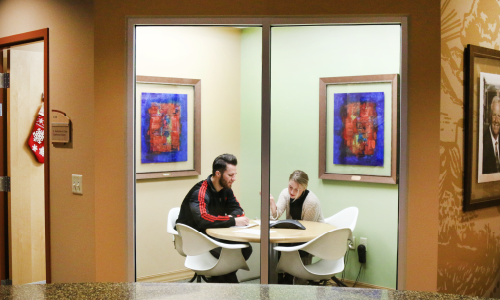 BUSINESS CENTER is full-service with ideation boards, printers, and presentation tools. PROFESSIONAL CATERING SERVICE on-site, featuring professional chef and catering. Map of our Conference Center. Seamlessly integrated into The NIIC’s collaborative community in Fort Wayne, Indiana is the Olive B. Cole Foundation Conference and Training Center. Here you’ll find each of the conference rooms and The NIIC Connections Café – A shared space for everyone at The NIIC. Seats up to 80 people with flexible seating arrangements and the ability to split into two rooms. Two large screen monitors offer multiple interfaces making it ideal for presentations and guest speakers. Indiana Michigan Power Conference Room. Garage doors offer open space for collaboration and natural movement. Room includes projector, screen and oversized whiteboard. Seats up to 40 people. LAKE CITY BANK Conference Room. Collaboration-inspired, the Lake City Bank includes projector, white board and mobile, ergonomic seating for up to 10 people. 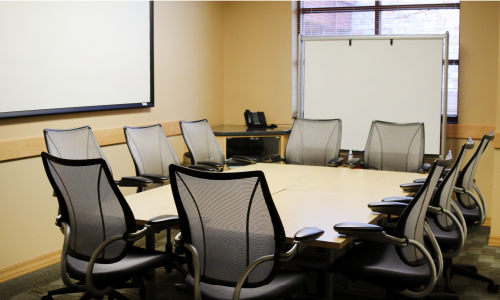 Projector, white boards and ergonomic seating for up to 14 people. 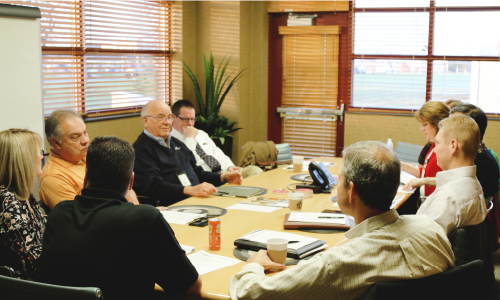 Combination of two rooms: Lake City Bank and BKD. Easily separated and connected as needed. Garage doors and comprehensive presentation tools. Seats up to 24 people. Accommodating and secure for private and semi-private meetings. Includes a large screen monitor, ideation board and insulated walls. Seats up to 10 people. VOTAW AND A. HATTERSLEY & SONS Small Conference RoomS. Ideal for small, one-on-one client meetings, discussions and as temporary offices. Both rooms seat four people comfortably. We offer discounts for nonprofit organizations and educational institutions.